1 Acceptance The Use Of NailRENEW Terms and Conditions Your access to and use of NailRENEW is subject exclusively to these Terms and Conditions. You will not use the Website for any purpose that is unlawful or prohibited by these Terms and Conditions. By using the Website you are fully accepting the terms, conditions and disclaimers contained in this notice. If you do not accept these Terms and Conditions you must immediately stop using the Website. 2 Credit card details We implement a variety of security measures to maintain the safety of your personal information when you place an order or enter, submit, or access your personal information. We offer the use of a secure server. All supplied sensitive/credit information is transmitted via Secure Socket Layer (SSL) technology and then encrypted into our Payment gateway providers database only to be accessible by those authorized with special access rights to such systems, and are required to keep the information confidential and secure. After a transaction, your private information (credit cards, social security numbers, financials, etc.) will not be stored on our servers. 3 PricingPricing quoted on website may vary based on promotional offers. All promotional offers are based on a single unit bottle price of $49.95 per bottle or as advertised. Example: "Buy 2, Get 1 Free" and "Buy 3, Get 2 Free". These prices are reiterated on the checkout page prior to finalizing a purchase. Pricing may change due to promotions, updates, and other marketing. Promotions and Monthly Shipments: NailRENEW is offered as a one time sale on our website. We also offer some of our complimentary products such as daily nail supplements and maintenance products on a monthly basis for your convenience or as a one time purchase. If you elect into a monthly shipment, we will automatically send you a full-month's supply (30 day bottle) of NailRENEW 30 days after your initial purchase has been placed and every 30 days after at the stated price. 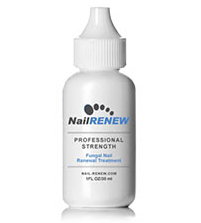 You can cancel at any time by contacting us at (800) 678-6341 or emailing customerdelight@nail-renew.com and return the product for a refund. 4 Advice The contents of NailRENEW website do not constitute advice and should not be relied upon in making or refraining from making, any decision. In some circumstances, users may be remunerated for providing testimonials and their names and reviews may be altered to protect their privacy. 5 Change of Use NailRENEW reserves the right to: 4.1 change or remove (temporarily or permanently) the Website or any part of it without notice and you confirm that NailRENEW shall not be liable to you for any such change or removal and. 4.2 change these Terms and Conditions at any time, and your continued use of the Website following any changes shall be deemed to be your acceptance of such change. 6 Links to Third Party Websites NailRENEW Website may include links to third party websites that are controlled and maintained by others. Any link to other websites is not an endorsement of such websites and you acknowledge and agree that we are not responsible for the content or availability of any such sites. 7 Copyright 7.1 All copyright, trade marks and all other intellectual property rights in the Website and its content (including without limitation the Website design, text, graphics and all software and source codes connected with the Website) are owned by or licensed to NailRENEW or otherwise used by NailRENEW as permitted by law. 8.1 - The Website is provided on an AS IS and AS AVAILABLE basis without any representation or endorsement made and without warranty of any kind whether express or implied, including but not limited to the implied warranties of satisfactory quality, fitness for a particular purpose, non-infringement, compatibility, security and accuracy. 8.2 - To the extent permitted by law, NailRENEW will not be liable for any indirect or consequential loss or damage whatever (including without limitation loss of business, opportunity, data, profits) arising out of or in connection with the use of the Website. 8.3 - NailRENEW makes no warranty that the functionality of the Website will be uninterrupted or error free, that defects will be corrected or that the Website or the server that makes it available are free of viruses or anything else which may be harmful or destructive. 8.4 - Nothing in these Terms and Conditions shall be construed so as to exclude or limit the liability of NailRENEW for death or personal injury as a result of the negligence of NailRENEW or that of its employees or agents. 8.5 - No Resale: By purchasing the Products hereunder you agree that they are being acquired for the account of the Purchaser's sole use and consumption, and not for resale, in whole or in part. Resale of this product is strictly prohibited and any attached warranty is voided. 9 Indemnity You agree to indemnify and hold NailRENEW and its employees and agents harmless from and against all liabilities, legal fees, damages, losses, costs and other expenses in relation to any claims or actions brought against NailRENEW arising out of any breach by you of these Terms and Conditions or other liabilities arising out of your use of this Website. 10 Severance If any of these Terms and Conditions should be determined to be invalid, illegal or unenforceable for any reason by any court of competent jurisdiction then such Term or Condition shall be severed and the remaining Terms and Conditions shall survive and remain in full force and effect and continue to be binding and enforceable.